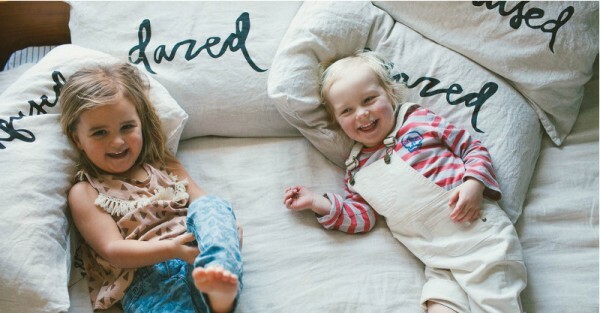 Sleeping babes deserve nothing but the best and this small Aussie business is producing quality bedding with superb style. 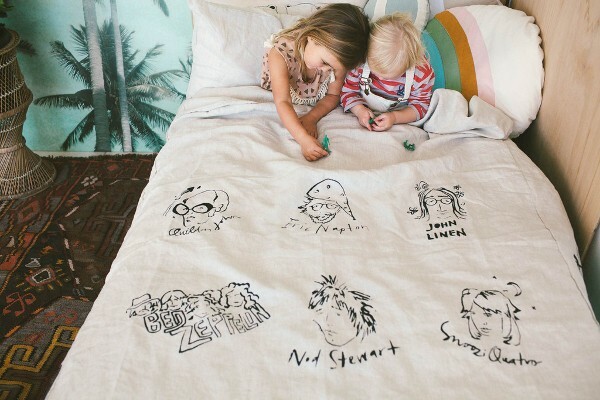 Pure linen bedding screen-printed with artist designs, the kids will never want to leave their beds! Not enough is said about the benefits of pure linen. 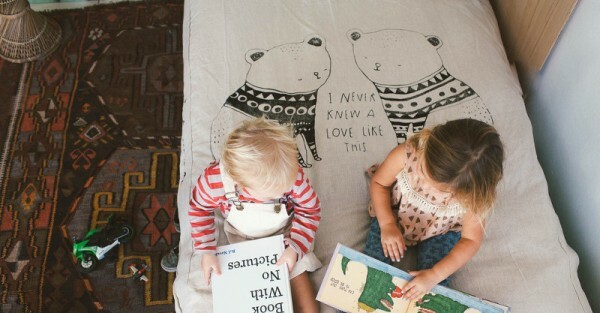 Hypoallergenic, durable yet soft, linen actually gets better with wear and age (and oh boy, do kids ever give their bedding a decent durability test). All Dazed but Amazed bedding is made from 100 per cent pure linen so it is perfect for all those years of jumping on the bed and regular runs through the wash. But the best thing about this brand has to be its collaboration with artists that result in stunning, original, limited edition designs. My hands down favourite is RockNRoll Dreams, which features portraits of musicians with sleepy names (below). There is Bed Zepplin, Snoozi Quattro, and John Linen, to name a few. What a darling way to introduce the kids to some all time music legends. Dazed but Amazed is run out of Newcastle, Australia by local mum Jes O’Brien Saddington. Jes was perplexed as to why she couldn’t source simple, good quality, gender-neutral bedding for her little one. So she decided to make some herself! We love that initiative and the results are just wonderful. Dazed and Amazed hand print each piece and all designs are limited edition so you’ll want to get in quick if you see something you love. They ship across Australia and overseas.